This year marks the 50th anniversary of the Race Relations Act, which was designed to ensure that Black and minority ethnic individuals were no longer willfully excluded from the job market. Today, the Prime Minister will announce the most radical plan since that act to ensure that we not only unlock BME talent in the job market, but also to ensure that talent has the potential to reach the very top. 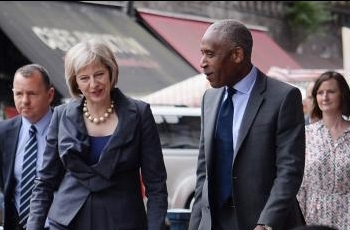 Continuing her theme of tackling burning injustices the PM will announce that she wants big companies to lay bare their ethnic minority pay gaps. For example, within the GLA London’s mayor revealed that in some areas BME individuals were earning on average 37% less than their white colleagues. The PM will also announce that companies seeking Government contracts - procurement - which runs into billions must demonstrate they have an internal race equality plan. A Race Equality Charter will be announced today for companies to sign to, and public sector bodies will be strongly pushed to show how they can close inequality gaps. 1) OBV is a non-partisan political campaigning organisation working with all Black Minority Ethnic (BME) communities to improve race inequalities including participation and representation in the UK. 2) The consultation, open until January 2019, will set out in detail what information employers should publish to allow for decisive action to be taken while also asking employers how ethnicity data can be collected without placing undue burdens on businesses. 3) Leaders of the UK’s public services, including the NHS, Armed Forces, schools and the police force to also set out plans to increase proportion of public sector leaders from ethnic minority background.